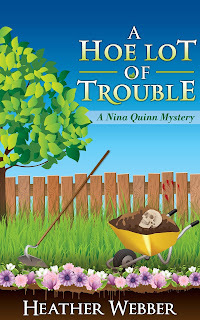 Landscaping is Nina Quinn's business, but trouble seems to be her middle name. 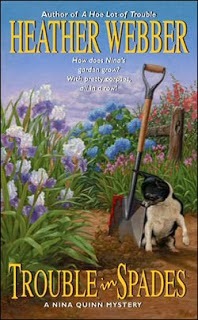 Saddled with a recently expelled, faithless local–cop husband, a teenaged terror of a stepson, and the yappiest, most unhousebreakable Chihuahua in captivity, Nina needs a respite –– and the backyard makeover she's undertaking for her sister Maria and Nate, Maria's fiance, may do the trick. 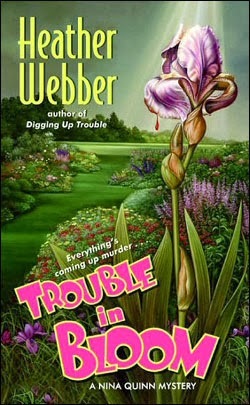 But, of course, Nate vanishes mysteriously, and Nina's gardening magic inadvertently turns up a corpse. And with a thief on the prowl who's preying on the neighborhood elderly, a suspicious Pandora's Box of a package arriving on her doorstep, and yet another body inconveniently turning up, Nina's going to have to dig into her community's dirtiest little secrets to regain her peace and sanity –– if she can manage to stay alive long enough to enjoy it. Landscaper Nina Quinn makes her living from surprise garden makeovers. It's not her fault that someone duped her into digging up the wrong yard. And she certainly can't be blamed when her handiwork turns the unsuspecting real owner apoplectic and he drops dead from a heart attack . . . can she? 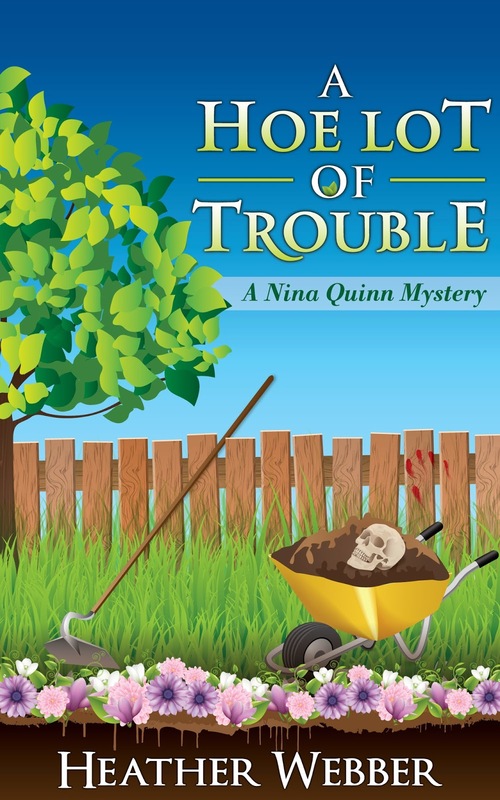 Nina's got enough trouble already, with her divorce from faithless hubby Kevin nearing completion and her unruly stepson up to his teenage neck in possibly illegal mischief. Now she's in danger of losing her business! But there's something screwy about this rather convenient "accidental" death of a man whom apparently no one could stand -- not even the "grieving" widow who's threatening to sue Nina's overalls off. 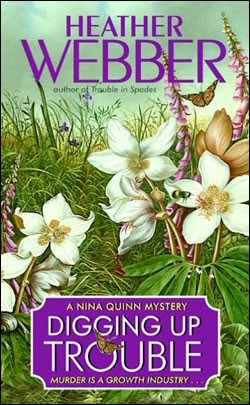 To save her livelihood -- and her skin -- Nina's going to have to dig deeper into the dirt than she ever has before . . . and see what sort of slimy secret things crawl out. 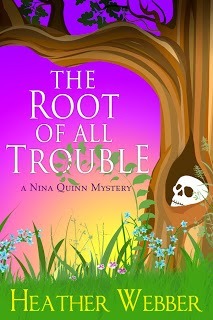 Nina Quinn never goes looking for trouble, but for some reason, it always seems to come looking for her! This time, Nina and her boyfriend Bobby have gotten coerced into helping a sleazy lawyer acquaintance entrap a local TV producer. It seems that the producer is suspected of sexual harassment, and Nina and Bobby agree to appear on his reality show in order to catch him in the act. But when the producer turns up dead, Nina finds herself in the middle of a murder investigation. And that's only the tip of the iceberg. 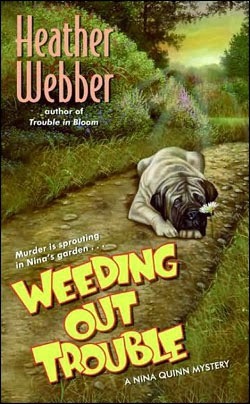 While plant–sitting for a friend, Nina stumbles upon a stash of marijuana growing in the woman's closet. That leads Nina to a local holistic healing center, where it looks like there's a little bit of 'extracurricular' activity taking place. 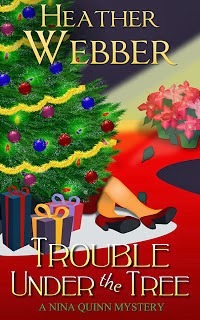 And speaking of illicit goings–on, Nina's seemingly benign neighbor, Mrs. Deibel, turns up dead, exposing the gambling den she's been running out of her home! With murder and vice around every corner, Nina barely has time to keep her mind on her current project––installing an indoor garden at a local nursing home. It will take some expert juggling, as well as some undercover snooping, for Nina to put an end to all of the madness and restore some sort of order to her always–tumultuous life! With the help of her police detective ex-husband, a mysterious medical examiner’s investigator, her formerly-felonious employees and her zany neighbors, Nina sets out to uncover a killer...before another victim ends up planted six feet under.